How many times have you tried to make a hat or beanie and the size just wasn't right? Wouldn't it be so much easier to design and experiment with your own hat patterns if you could know just how big they should be? The Ultimate Guide to Sizing Hats is the perfect resource for you! 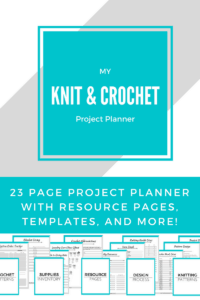 Not only does it include a chart with measurements for all beanie sizing from preemies to men's XL, it also has helpful diagrams and w quick guide to working beanies from the top down or from the bottom up! Claim your FREE copy of The Ultimate Guide to Sizing Hats! The Anatomy of a Beanie - this diagram illustrates the main parts of a standard beanie and a slouchy beanie to show you how you can alter your design to make it just right. Measurements you need to know - this page tells you what important measurements you need when constructing your beanie and how to use them. Quick Guide - on this page, I tell you how to make a top-down AND a bottom-up beanie in just 3 simple steps. 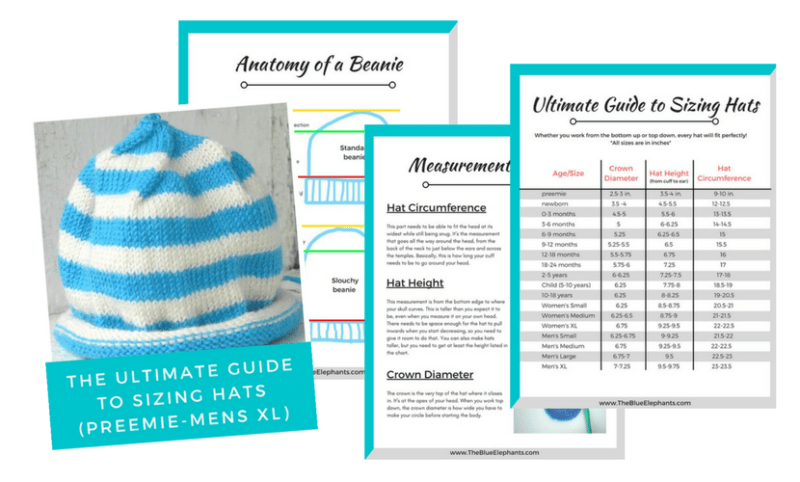 The Ultimate Sizing Guide - this page includes a chart with all the measurements you need to make a beanie in any size, from little preemie beanies to men's XL hats! Whether you're coming up with your own beanie designs or making another pattern fit better, The Ultimate Guide to Sizing Beanies will have you making perfect beanies every time! No more hats that are too small or struggling to adjust a pattern that doesn't have the size you need. If you're ready to get started and make a stack of cozy, perfectly fitted hats, claim your free guide below!